Estonian folk dance girls in London taught British soldiers to dance. 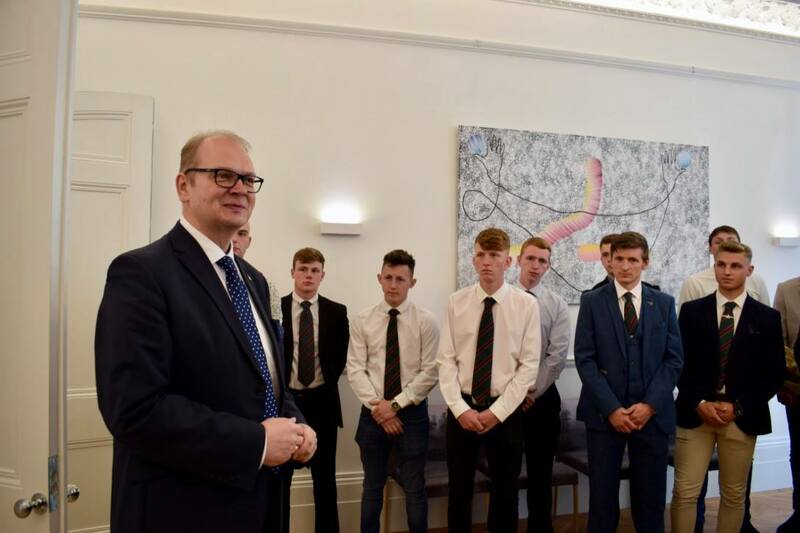 On 31th May British soldiers from 5th infantry battalion the Rifles game to visit Estonian House in London. Ürituse eesmärk oli enne mitmeks kuuks Eestisse tööle minekut meie ajaloo kohta teadmisi saada, nautida kultuuri, kohtuda ja rääkida eestlastega ning harjutada natuke keelt. 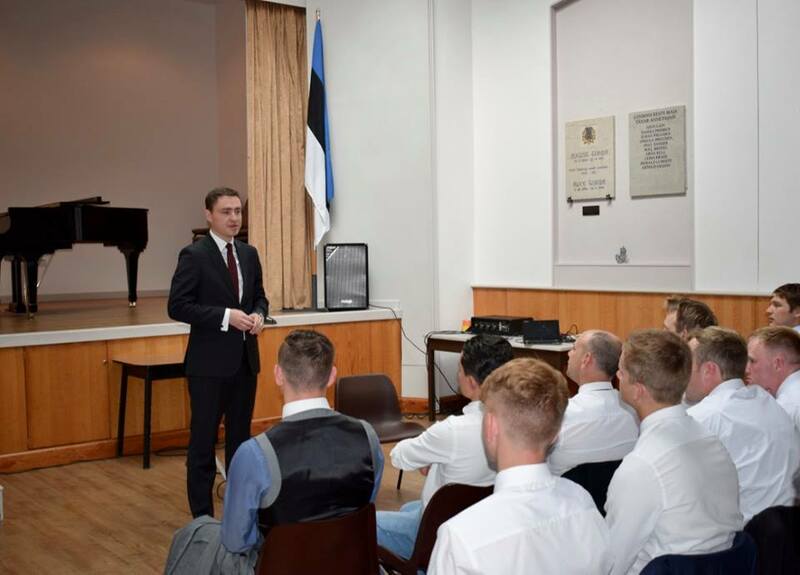 First soldiers visited the Embassy of Estonia in London, where they had a warm welcome with snacks and Estonian beer. Delegate of embassy, Triinu Rajasalu, composed a overview of Estonia, then ambassador Lauri Bambus greeted the quests. Also Estonian defence attache colonel Tarmo Ränisoo and economic diplomat Mare Tropp game to meet British servicemen. Ambassador Lauri Bambus greeting the guys - photo from embassy private collection. Estonian ex-priminister Taavi Rõivas sharing thoughts about Estonia-Russia border and NATO. After greeting in embassy was time to visit Estonian House in London, where chairlady of EHL, Katrin Legrain emphasized how importants is the relationship between Estonia and Britannia. Fallowed by presentation of Estonian politics and history by , who is senior lecturer of Slavic and East-European studies in University of London Allan Siku. By unexpected good surprise was when Estonian expriminister Taavi Rõivas arrived. He talked with soldiers and pointed that Estonia is a trustworthy companion in NATO not just a small country next to the big Russia. Then was time for a concert. Singer Mirjam Elessawi sang a folkloric song ”Lauliku lapsepõli” and on piano were Kristiina Rokaševitš. Kids teaching soldiers Estonian words. 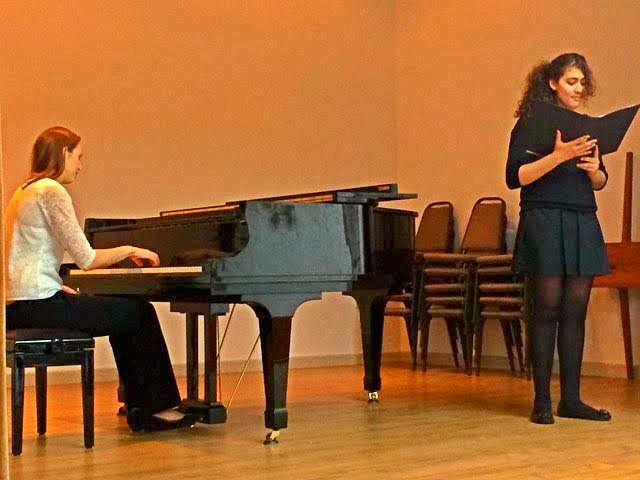 Mirjam Elessawi and pianist Kristiina Rokaševitš. Fallowed by Estonian language lesson where were practiced main expressions and pronunciations. British servimen were offered Estonian style snacks like rye bread with sprats and pickles. Also potato salad, kama and kvass. 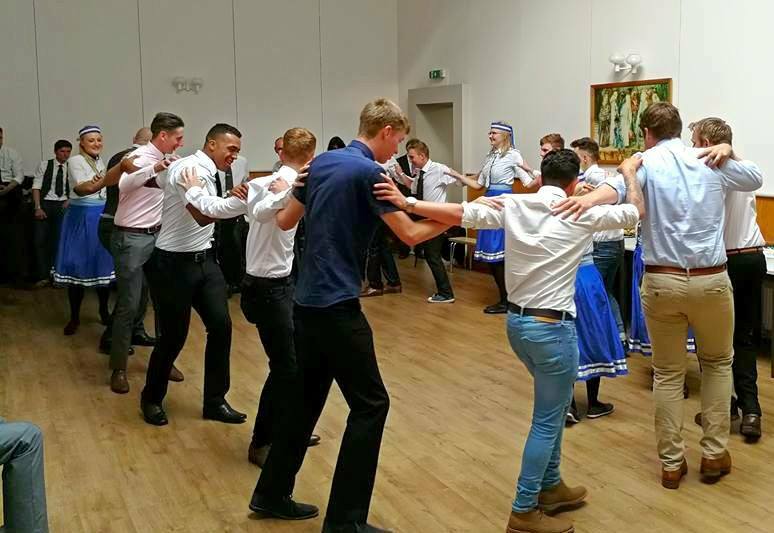 Estonian girls dancing with British soldiers.
" What an aplause! It was so loud, I was scared the roof of Estonian House will fly away! " praised dancer Evelin. Organiser Kerli receiving the gift from battalion. 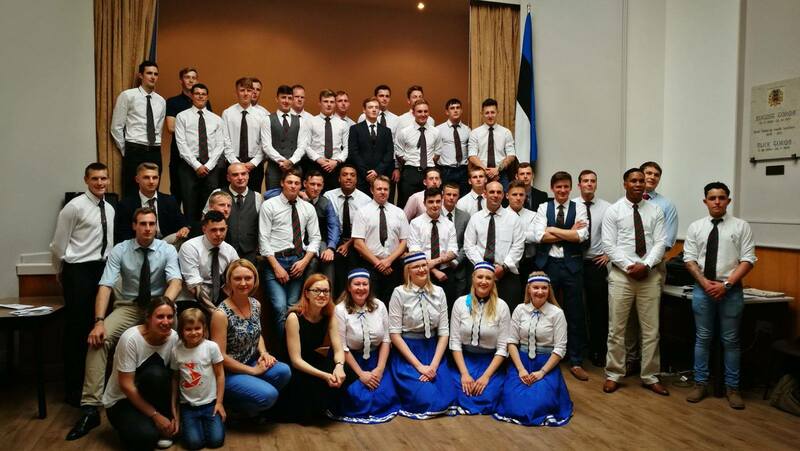 "The greatest highlight of the event was definirely the performance of the London Estonian Society folk dance girls performance," said event organiser Kerli Liksor. After watching some dances were time to step in. It was time to teach some dance steps to British guys. Lead by experienced dance group leader Marje Remmet, soldiers learnt quick two dances. 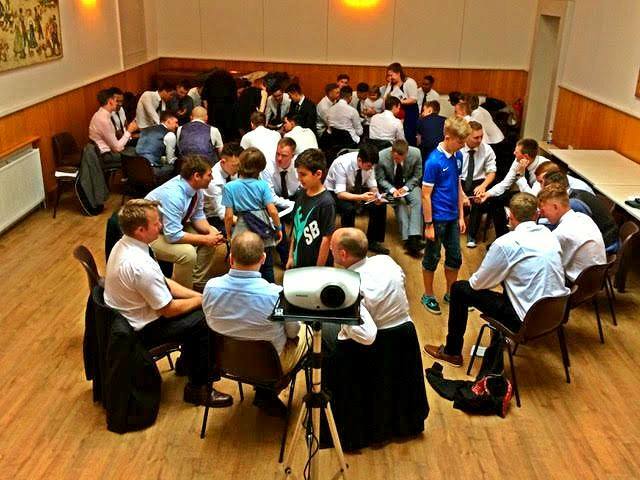 "We have had many workshops in London, but this was the most fun of them all. Guys were keen to learn quick and their team spirit was astonishing. What a sparkle in the air. Estonian House went hot like in sauna. Soldiers smiled and thanked us for such an occation. " sayd dance leader Marje Remmet who wished good luck and added that British soldiers don't have to worry about their dance skills in Estonia. "Thank you for everyone who helped to organise the event," says Kerli. "Special thanks to Katrin Legrain, Evelin Siilak and Marje Remmet, Piret Randam. Also to Siiri Sääs, Riia Ränisoo and Andy Billington." 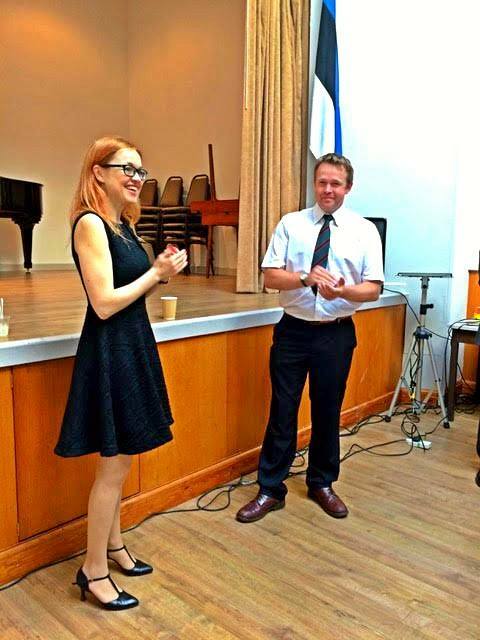 Kerli Liksor is London based Estonian language teacher, who gived Estonian language lessons to British soldiers before going to the training in Estonia. Photos by Sven Sild, Riia Ränisoo and Piret Randam.